THOMPSON, Jack, age 88, of Shaler Twp., on Jan. 24, 2019. Beloved and loving Husband of Carol G. Thompson. Loving Dad to Keith E. Morrison. Beloved Son of the late Hazel B. Thompson. Jack served in the Marine’s during the Korean War. He retired as a Mechanic for U.S. Airways after 35 years. 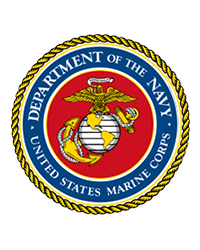 Jack was an avid hunter and a member of Three Rivers Leathernecks Detachment Marine Corps League. Visitation Sat. 2-5 p.m. at Neely Funeral Home, 2208 Mt. Royal Blvd., Glenshaw. Military honors service at 3 p.m. with a funeral service following at 3:30 p.m. In lieu of flowers memorial contributions may be made in Jack’s name to Three Rivers Leathernecks Detachment 310 Marine Corps League, P.O. Box 15433, Pittsburgh, PA 15237 or to a charity of one’s choice.